Following news that ridesharing service Lyft has entered into an interim agreement with the California Public Utilities Commission (CPUC), regulators have released a statement saying that private car service Uber has reached an agreement with it as well. The CPUC has decided to suspend its cease and desist notice to the company along with its $20,000 citation, “pending the outcome of the CPUC’s rulemaking”. Receiving disapproval from government regulators unfortunately wasn’t anything new for Uber. Besides in California, it has been the target of lawsuits and has been forced at least once to fight against potentially damaging laws. It has also stopped service in one major city. Today’s news is just another welcome sign for the company as it begins to receive wider acceptance from government officials, especially in light of the achievements its made in Boston, New York City, and Washington, DC. In December, the CPUC announced that it was going to evaluate the safety of ridesharing, an industry that includes not only Uber, but Lyft and Sidecar. At the time, the agency said that it intends to open a proceeding to “protect public safety and encourage innovation in the transportation of passengers.” The CPUC has jurisdiction over this issue because it is responsible for determining whether and how public safety might be affected by these companies. 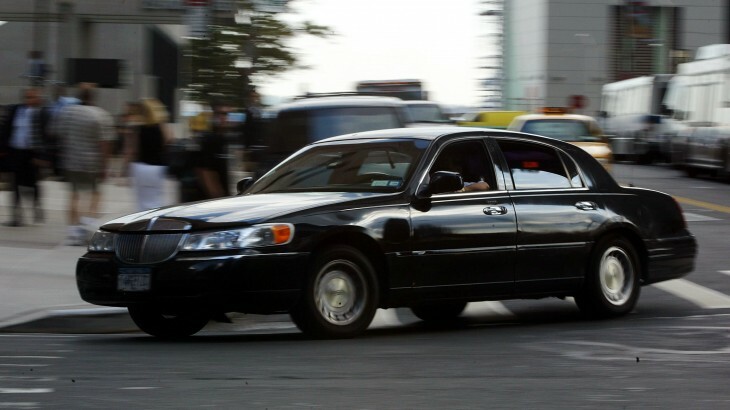 According to a statement from Uber, the agreement states “ride-sharing — or rides provided by drivers not specifically licensed to drive a limousine or taxi — is legal too.” The company goes on to say that because of this, it allows it to begin offering ride-sharing services in the near future. In doing so, Uber would be further diversifying its offerings to not only include the traditional black car service, SUV, UBERx, and Uber Taxi, but allowing others to be drivers as well. Uber co-founder Travis Kalanick confirmed to TechCrunch that the company is going to begin this program and that it would compete with Lyft and SideCar. SAN FRANCISCO, January 31, 2013 – The California Public Utilities Commission (CPUC) today said that it has entered into an agreement with Uber Technologies, Inc. under which the company can operate while the CPUC’s ridesharing rulemaking is underway. On Dec. 20, 2012, the CPUC said it would evaluate services like Uber via a new proceeding in order to protect public safety and encourage innovation in the transportation of passengers over public highways for compensation. The terms of the agreement are intended to ensure the public safety of both riders and drivers through the CPUC’s interim oversight of Uber during the rulemaking through safety requirements that include continued proof of insurance, Department of Motor Vehicle checks, and national criminal background checks. Some of these safety requirements are triggered when and if Uber decides to utilize non-licensed charter party carriers. With this agreement, the CPUC’s Safety and Enforcement Division will suspend its cease and desist notice to Uber, as well as the $20,000 citation issued on Nov. 13, 2012, pending the outcome of the CPUC’s rulemaking.